Avenue CDC, a nonprofit focused on affordable housing, has unveiled plans to develop a new mixed-use community center just north of downtown. The project is expected to cost $11.3 million, a spokesperson told the Houston Business Journal. It will be funded in part by $2.6 million from the United Arab Emirates’ donation for Hurricane Harvey recovery efforts. 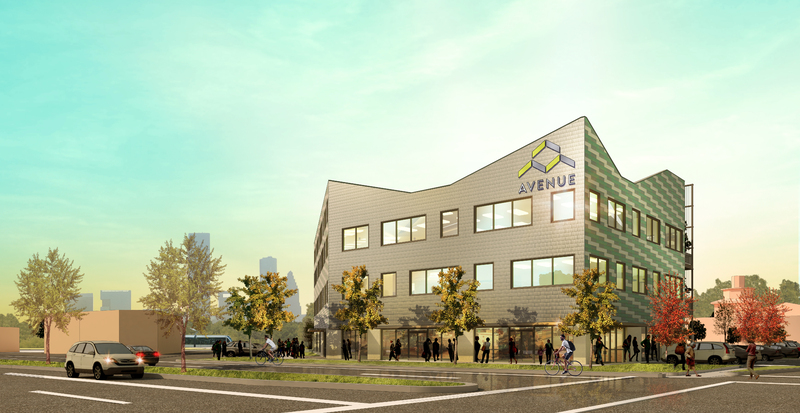 Avenue’s ongoing capital campaign also has raised more than $2.1 million for the project through both public and private funding, according to a Jan. 7 press release. Contributions have come from Houston Endowment, The Fondren Foundation, J.E. & L.E. Mabee Foundation, Green Mountain Energy Sun Club, The Brown Foundation, The Hearst Foundation, NeighborWorks America, Local Initiatives Support Corp‎ (LISC), Amegy Bank, Marek Family Foundation, East West Bank and the Conely Foundation. Avenue Center will be at 3527 Irvington Blvd., across from Moody Park in the Near Northside neighborhood. The project is expected to break ground in the first quarter of 2019 and open in early 2020, per the spokesperson and the release. Page, a Washington, D.C.-based architecture and engineering firm that has a Houston office, is designing the building. Dallas-based Trammell Crow Co. is the development manager, and Houston-based Arch-Con Corp. is the general contractor, the spokesperson said. The three-story, 30,500-square-foot facility will contain community programming space — including Avenue’s headquarters, realty office and Homeownership Center — plus a health clinic and an early childhood education center, per the release.The goal of the project “is to conveniently co-locate a variety of vital resources for residents — especially low-income families — to improve access to essential support services that will improve the quality of life for neighborhood families and the community as a whole,” per the release. It will be near the community park and walking trails at Avenue Place, one of Avenue’s affordable housing projects, as well as M.D. Anderson YMCA, Carnegie Library, Irvington Park, Moody Park and Recreation Center, and the Metro North Corridor rail line. “Avenue has been working with the Near Northside community for many years, supporting efforts by residents to revitalize an area with a rich history and cultural identity while preserving the neighborhood’s unique character and affordability,” Mary Lawler, executive director at Avenue, said in the release. In addition to the aforementioned Avenue Place, a 95-unit single-family development, Avenue’s other Near Northside projects include Fulton Gardens, an 88-unit senior apartment development along the MetroRail; Avenue Terrace, a 192-unit multifamily complex; and Avenue Station, a 68-unit multifamily complex. The nonprofit also is developing Avenue Meadows, a 16-unit single-family development targeted to low- and moderate-income homebuyers, in the adjacent Northline neighborhood, per the release. Near Northside is one of five pilot neighborhoods in Houston Mayor Sylvester Turner’s Complete Communities initiative, “which focuses on ensuring Houston communities have the quality of life elements needed for residents to live and prosper in their own neighborhoods,” per the release.